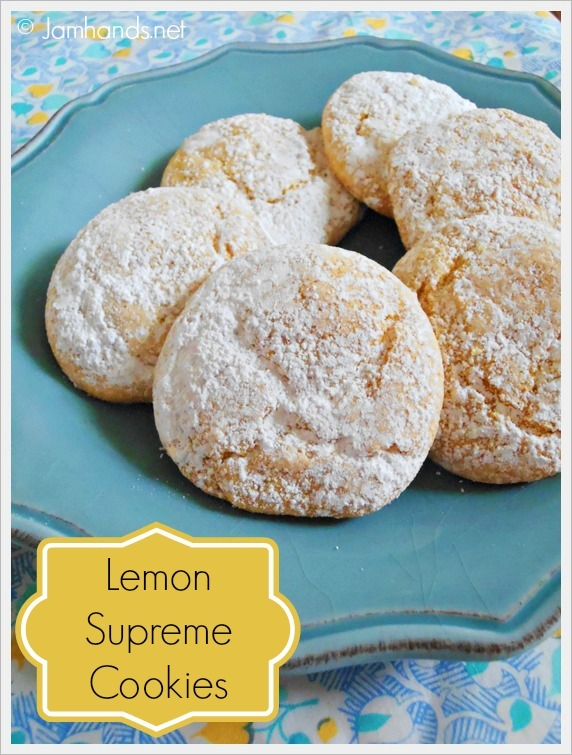 I am all for making cookies from scratch but every once in a while I like to make mixed cookies like these Lemon Supreme Cookies from Somewhat Simple. They were light, chewy and delicious. They only have 3 ingredients which is a plus. 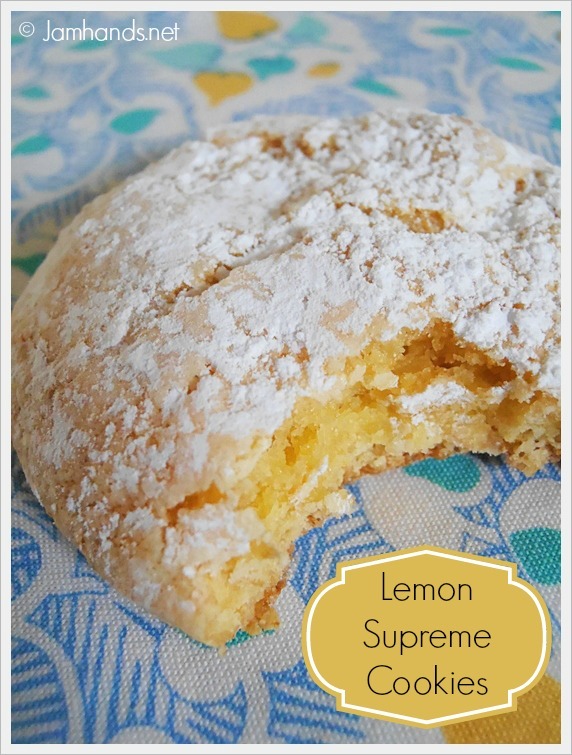 If you love lemon you should also check out my Lemon Supreme Rice Krispies Treats. Enjoy! 2. Mix all the ingredients.The dough will be thick. 4. Bake at 350-f degrees for 8-10 minutes. Let cool on the cookie sheet for about 10 minutes. (If you make smaller cookies check them a few minutes early). If desired you can dust them with powdered sugar after they have completely cooled. Recipe from Somewhat Simple. Sharing this recipe at the following fun link parties. OOO these look delicious.. I wish i could get half the ingredients in the UK! Our Simply Create Link Party is going on right now, I'd love to have you link up these delicious looking cookies! I love lemon baked goods! Going to pin these right now! Oh my gosh, these are supreme cookies indeed! They look so delicious! Someone mailed a batch of these to me through my cookie swap last winter - they are amazing!